We’d love your help. 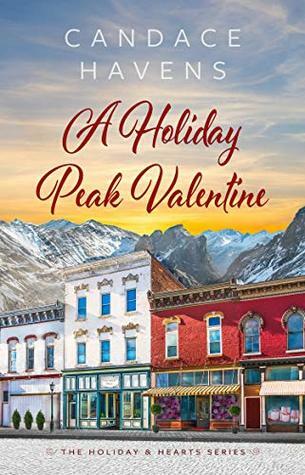 Let us know what’s wrong with this preview of A Holiday Peak Valentine by Candace Havens. Smart and nerdy Cara Mendoza loves books, and makes sure her bookstore, The Novel Place, is stocked with some of the latest best sellers along with the classics. She has a not-so-secret penchant for romance novels, and in her mind, the hero is always played by former NFL player and her favorite high school quarterback Jones McBride. But book boyfriends don’t disappoint, an Smart and nerdy Cara Mendoza loves books, and makes sure her bookstore, The Novel Place, is stocked with some of the latest best sellers along with the classics. She has a not-so-secret penchant for romance novels, and in her mind, the hero is always played by former NFL player and her favorite high school quarterback Jones McBride. But book boyfriends don’t disappoint, and she’s determined to keep it that way. So what if she ends up a spinster with ninety-eight cats? To ask other readers questions about A Holiday Peak Valentine, please sign up.